The Clinical Biochemistry test repertoire includes general chemistry and endocrine tests, therapeutic drug monitoring, HbA1c and a range of more complex and specialised investigations. The laboratory is equipped with an Abbott system for core biochemistry, routine endocrinology and measurement of troponin, haematinics, tumour markers and therapeutic drugs and with two Tosoh analysers for HbA1c measurement. The department also performs more complex Clinical Biochemistry investigations, which include specialised endocrine tests, analysis of trace metals, faecal inflammatory markers and measurement of drugs of abuse and immunosuppressants. Some of these assays are provided for other Trusts, both in the South West and other sites in the UK. Results for the majority of routine tests are available the same day, often within two hours of specimen receipt in the laboratory. The more specialist test carried out in Clinical Biochemistry have a longer turn-around-times. Some highly specialised tests will require referral to other UK laboratories due to the complex nature of these investigations. Because of this, results may sometimes not be available for several weeks. A duty biochemist is available during standard working hours (Monday-Friday 9:00-17:30) for clinical advice including enquiries about interpretation of results and appropriate follow-up tests. Please telephone 517936 (Ext 57936) or e-mail plh-tr.DutyBiochemist@nhs.net. A Consultant Clinical Biochemist is available at all times and can be contacted via switchboard outside standard working hours. It is essential that full clinical details are provided on request forms by the person requesting the test to allow meaningful interpretation of results and the immediate addition of any further appropriate tests. (Catecholamine are no longer measured at DCL). Note: red-topped boric acid containers are not suitable for urine biochemistry. **For 24 hr urine collection for 5HIAA patients should avoid the following for 3 days before, and during the period of, the urine collection: avocados, bananas, chocolate, eggplants, figs, grapes, kiwifruit, nuts, pineapple, plums, tomato (or juices made from these products). List all medications (especially antihypertensives & antidepressants) on request form. check the cap is firmly in place before transporting the container and after each addition of urine. Measurement of therapeutic drug concentrations can be useful in patient management to tailor drug therapy to individual needs in order to optimise the beneficial effects and minimise toxicity and to assess compliance. However, individual drug pharmacokinetics may be influenced by many factors. For advice concerning interpretation or for information about drug assays not included in the table below, please contact the laboratory. The glucose sample must be collected in a fluoride oxalate tube as glucose measurements on serum samples are unstable. If asymptomatic, two elevated concentrations are required to make the diagnosis (for HbA1c the repeat test should be collected two weeks after the first raised measurement). The oral glucose tolerance test is only required when measurements are equivocal. It is not appropriate to use an oral glucose tolerance test to routinley confirm a diagnosis of diabetes. Patients should fast for 10 hours prior to the test but may drink small volumes of water. They should have been eating their normal diet for three days prior to the test. The test should not be performed during recovery from major illness, trauma or surgery. Blood samples (2mL in grey topped fluoride oxalate tubes) should be taken in the fasting state and 2 hours after consumption of the glucose load. There is no need to take blood at intermediate times or to measure urine glucose. The patient should remain resting in the clinical area throughout the test; smoking is not allowed. Please refer to the NICE Guidelines for the management of type 1 and type 2 diabetes if you require information on the frequency of monitoring. This is performed for the investigation of adrenal insufficiency. Cortisol secretion is stimulated by ACTH from the anterior pituitary. This tests evaluates the ability of the adrenal glands to produce cortisol in response to stimulation by a synthetic ACTH preparation (Synacthen). The test should ideally be performed in the morning. There are different protocols and cut-offs in place around the UK due to variation in assay platforms used. A cut-off of >440nmol/L is used in the Derriford protocol, and a rise in cortisol above this concentration will usually exclude adrenal insufficiency. The diagnosis of primary hyperaldosteronism (frequently due to adrenal aldosterone-producing adenomas) should be considered in hypertensive patients with spontaneous or diuretic-induced hypokalaemia. However, a number of patients with aldosterone secreting adenomas are normokalaemic. The renin-aldosterone axis is primarily regulated by renal blood flow. Patients under investigation should therefore be normally hydrated, have an adequate sodium intake and be normokalaemic. Any potassium replacement should be stopped on the day of the test. There are a number of medications that can falsely alter the aldosterone:renin ratio. Therefore, if safe to do so, all drugs should be discontinued for at least two weeks prior to sample collection. See the table below for minimum length of withdrawal for specific medications. The β-blockers prazosin or doxazosin have minimal effect on the renin-aldosterone system and therefore can be used at the time of sampling. If there are medications that cannot be withdrawn then a list of all such medications must be provided with the request to aid interpretation of results. A plasma EDTA sample (lavender top) for renin and a serum SST (gold top) for aldosterone and potassium are required for analysis. Samples must be taken to the laboratory immediately to allow the sample to be separated promptly, hence samples cannot be collected in Primary Care. 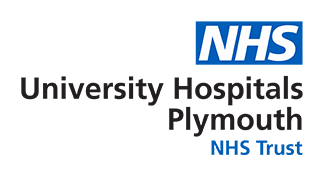 If the test is required by a GP, then the samples can be collected in the venepuncture suite in Derriford (please contact the Duty Biochemist for more information). The patient should remain seated for five minutes prior to venepuncture. High aldosterone and suppressed renin activity indicate primary hyperaldosteronism. Similar results may sometimes be seen in renal disease. In the case of equivocal results, repeat after withdrawal of all interfering medications (as listed above) may be indicated. Thyroid disease is associated with significant morbidity. It can present with non-specific symptoms hence thyroid function tests (TFTs) are frequently requested. As the results of TFTs can themselves by affected by intercurrent illness it is important that they are interpreted correctly and thyroid pathology is not assumed and treatment commenced inappropriately. What should I do about a marginally raised TSH? If a marginally raised TSH (4.9 –10 mIU/L) is found on a screening blood test and the fT4 is normal, measurement should be repeated in 3-6 months after excluding non-thyroidal illness and drug interference. If TSH remains marginally elevated the patient’s thyroid autoantibody status should be determined. Unless symptoms develop (or the patient is pregnant/contemplating pregnancy), if thyroid autoantibodies are negative TFTs should be repeated every three years. If thyroid auto-antibodies are positive TFTs should be repeated annually. There is no evidence to support the benefit of routine early treatment with thyroxine in non-pregnant patients with a serum TSH between 4.9-10 mIU/L and a normal FT4, but physicians may wish to consider the suitability of a therapeutic trial of thyroxine on an individual patient basis and in patients who are pregnant/seeking fertility, children and those with a goitre. How often should I check TFTs in a patient on thyroxine replacement for primary hypothyroidism? In stable patients annual measurement is sufficient. After a change in dose two months should generally elapse before repeat measurement of TFTs to allow TSH to stabilise. How do I know from TFT results that the dose of thyroxine is appropriate? In uncomplicated primary hypothyroidism the biochemical target is a TSH within the reference range, however clinical and biochemical findings need to be taken into consideration. Should I measure TFTs routinely in patients with diabetes mellitus? Patients with Type 1 should have a check included in their annual review. Patients with Type 2 should have TFTs checked at diagnosis but routine annual testing is not necessary. What do I do about a marginally low TSH? Causes include non-thyroidal illness, medication and subclinical hyperthyroidism. Suggest repeat in 1-2 months, after excluding non-thyroidal illness and drug effects. With subclinical hyperthyroidism, AF is a strong indicator to treat the condition. In the presence of sinus rhythm, individuals with persistent TSH <0.1 mIU/L with symptoms of hyperthyroidism, goitre or osteoporosis should also be considered for referral to one of the endocrinologists and annual follow-up is certainly appropriate to ensure overt hyperthyroidism does not develop. Is it necessary to check TFTs in patients presenting with hypertension? This is no longer considered necessary. How do I monitor TFTs in patients on amiodarone? TFTs before commencing amiodarone and every 6 months during and for a year after treatment. How do I monitor TFTs in patient on lithium? TFTs before commencing and every 6 months whilst on treatment. *Premature CHD younger than 60 years. *Family history of raised total cholesterol: as in the table below. *Lipid stigmata mainly Tendon Xanthomata or juvenile corneal arcus. www.fhscore.eu to determine the patients FH score.